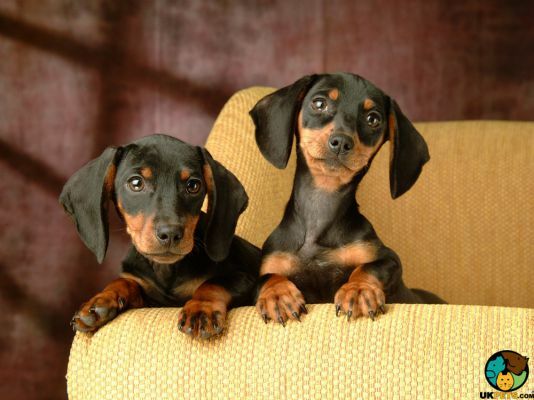 Dachshunds are short-legged and long-bodied dog breeds under the hound group. It is a scenthound bred to flush out live games such as badgers. 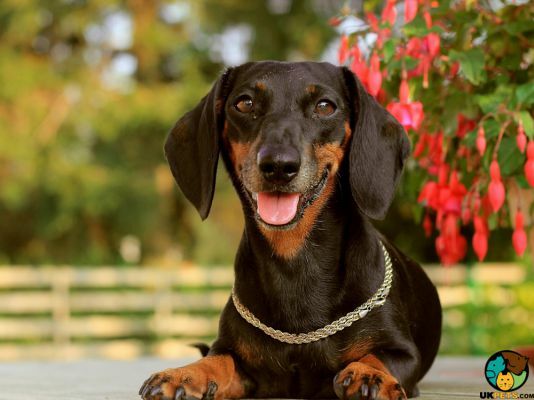 The origin of the name dachshund came from the German word dachs (means badger) and hund (means hound). Dachshunds come in varied colours with a base colour of either red or cream. They can be black, chocolate, grey and fawn with tan or cream markings. This active scenthound is clever and courageous but can be stubborn as well. It has a lifespan of up to 15 years. Are you thinking of getting a Dachshund? Here is a brief background of this dog that has captured the hearts of each home it graces. Dachshunds originally came from Germany and first existed during the 16th century. They was bred to hunt badgers and because of this role this, dog is literally called in German as the badger (dachs) hound (hund). The Dachshund was prized for its ability to follow scent and determination to dig and hunt burrowing animals. The lineage of the Dachshund is unclear, but records claim that Schweisshund, (a type of Bloodhound), Basset Hounds and Beagles contributed to its heritage. The breed was brought to England in 1840 when Prince Edward of Saxe-Weimar, a British military officer of German parents, gifted the breed to the Royal family. 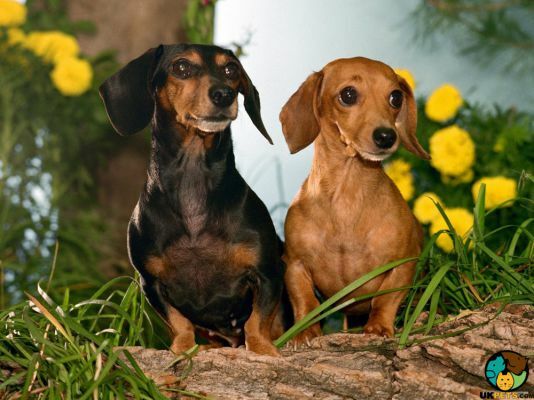 In 1859, the Dachshund breed became widely popular after the first ever dog show held in England. Queen Victoria helped its ascent to fame, being a huge fan of the breed. World War II, however, saw a decline in the breed as it fell from favour being a dog with a connection to Germany. Luckily, a few breed enthusiasts helped the breed to survive and regain its popularity in the UK. Today, the Dachshund is still among the most popular small dogs in the UK, with its charming looks and loyal nature. Often called Sausage dogs, Dachshunds have short legs and long bodies. They have a compact and well-muscled build with powerful front legs that are paddle-shaped, perfect for digging. They weigh 16 to 32 pounds and stand 20 to 27 centimetres. The Dachshund has a head that is narrowed with an arched skull and less prominent stop. With dark eyes, this dog breed has a complex expression that is almost soulful. It also sports a barrel-chest perfect for a loud and deep bark that is typically a characteristic of large dogs. Dachshunds use it well as they like to bark. 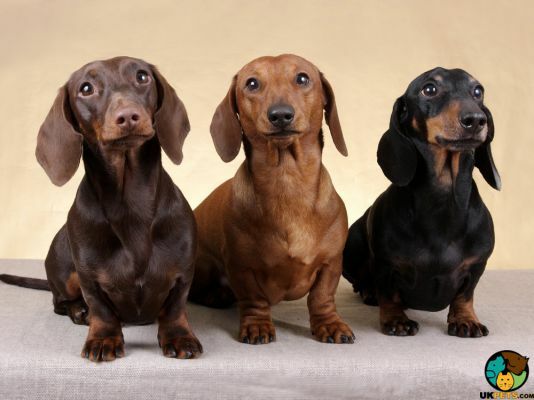 Dachshunds come in three coat varieties: smooth-shorthaired, longhaired and wirehaired. 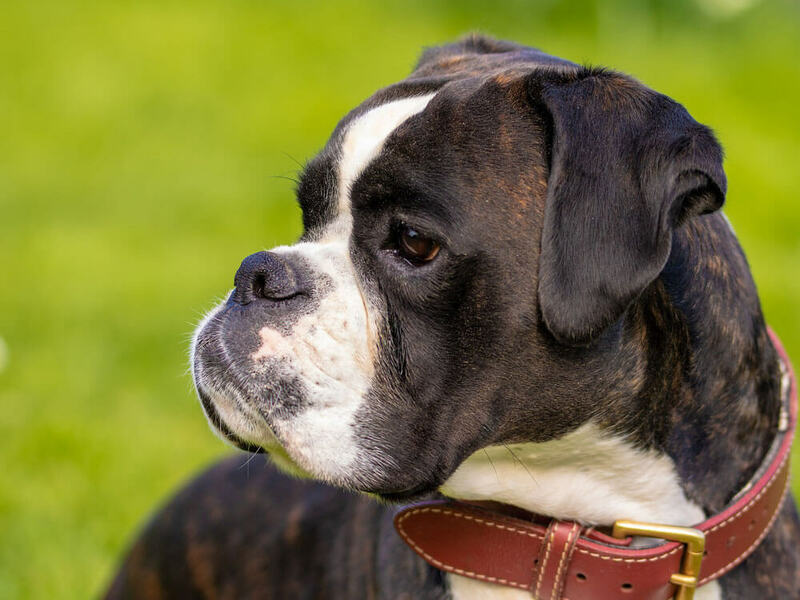 Accepted colours under The Kennel Club breed standard are black, cream, tan, brindle, chocolate, dapple, shaded red, and silver that is often combined for a two-colour coat. The Dachshund is a low-maintenance breed because it doesn't shed much. Nevertheless, weekly brushing is important to keep loose hairs from falling. The wirehaired Dachshund is an exception. Its wiry hair needs stripping at least twice a year. 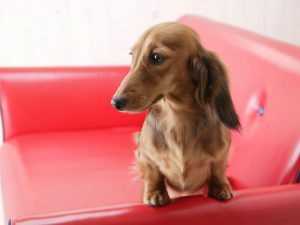 It is important to keep an eye on the Dachshund’s droopy ears since they are more prone to bacteria build-up, which will potentially be infected if not cleaned. Longhaired and Wirehaired Dachshunds often have excess hairs in between pads, which must be trimmed regularly as well. The Dachshund is a lively, intelligent and loyal dog. It is also determined and courageous to the point of recklessness. It forms a strong attachment to the owners and love nothing more than to cuddle. However, when out and about, Dachshunds can be a menace as their instinct to hunt remains strong that they neglect to heed commands. With this said, Dachshunds are not ideal for first-time owners because they need people who can train them well to recall commands above all else. Early socialisation is super important for Daschnds. 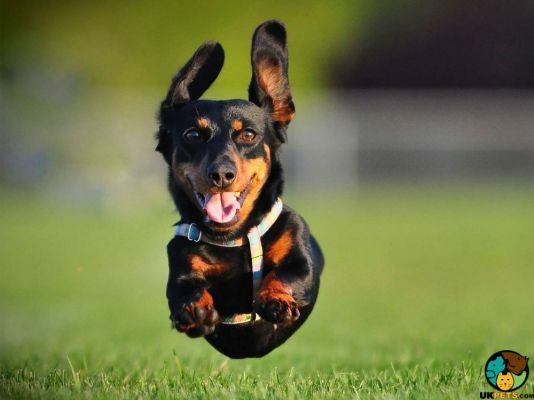 As mentioned, the prey drive of a Dachshund is strong, thus it is best for this dog breed to not be off-leash especially during walks as they will likely chase any small animals. Their loud, deep barks will come in handy since they don't hesitate to let owners know if anyone is about. Dachshunds are great around children especially if they grew up together. Like in any breed, interactions between children and Dachshunds must be supervised. Dachshunds also get on well with other dogs, but small animals are a different matter. Dachshunds should be fed high-protein meat such as beef, chicken, lamb or fish for muscle growth. Remember not to feed your Dachshund any food that contains sweeteners and other artificial additives. Dachshunds are also quick to put on weight so be careful not to free-feed. The Dachshund is generally healthy but can still suffer from certain medical conditions. These include back problems (Intervertebral Disc Disease), eye disorders (Progressive Retinal Atrophy), bloating (Gastric Dilatation-Volvulus), Cushing's disease, Diabetes, and deafness. Provide the Dachshund with at least 30 to 40 minutes of exercise daily so it can let off steam and spend their energies. You can walk it around the neighbourhood or play games in the park, and you'll come home with a happy and contented dog that stays away from trouble. When you buy a Dachshund, make sure it is from a reputable breeder, which will cost around £500 to over £1,000. Pet insurance is another cost to factor in your dog care budget, with a basic cover costing around £20 a month and a lifetime cover around £40 a month. 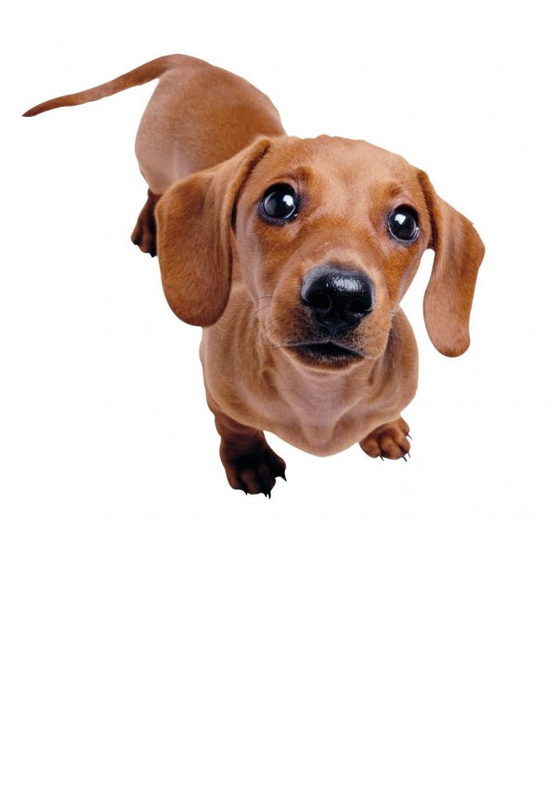 When it comes to food, Dachshunds are low-maintenance dogs because of their coat and size. Their small size means they don't eat much compared to large dogs. For food costs, you may spend anywhere from £30 to £40 a month. Veterinary consultations must not be ignored with an excuse that your dog looks healthy. Dachshunds need routine health checks, vaccinations, boosters, and spaying, which will likely cost you £1000 per year. 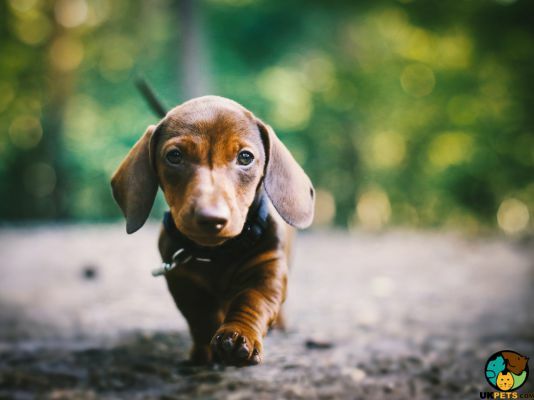 Other costs will include dog supplies and equipment (such as leash, collar, bed, bowl and toys) to provide your Dachshund with a safe and comfortable home. The Dachshund is smart but difficult to train. It is stubborn and needs proper guidance that can only be accomplished by an experienced dog owner. It gets on well with children and other dogs it grew up with. Dachshunds are brave, loyal and fearless but often rash. Its drive is high so walks in the park must not be off-leash.